Delicious Recipes is a yummy & delicious Food UI Kit. Its provided by our fine folks at Themefuse for Pixelkit. 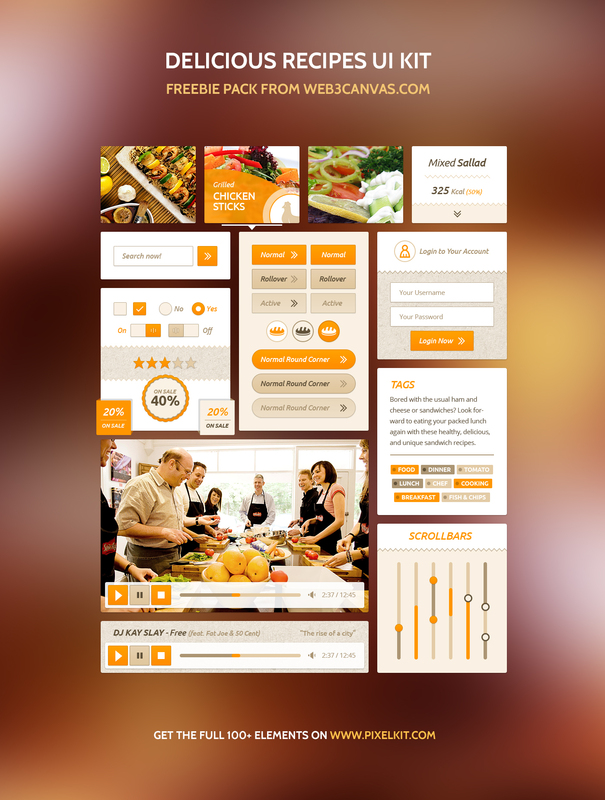 This food UI kit is perfect for a recipe blog, a cafe or restaurant website. It offers a wide variety of elements like sliders, pricing tables, product catalog and recipe description tabs that will work great for a an out of the box and outstanding web presence.